Pictured left to right: Northwood University President & CEO Keith A. Pretty, Northwood University Board of Trustees Vice Chair (and CEO of Artisan Tile Inc.) Dr. Jennifer Panning, Petoskey Plastics President & CEO Paul Keiswetter and Northwood University student Lance Johnson. Photos courtesy of Northwood University. 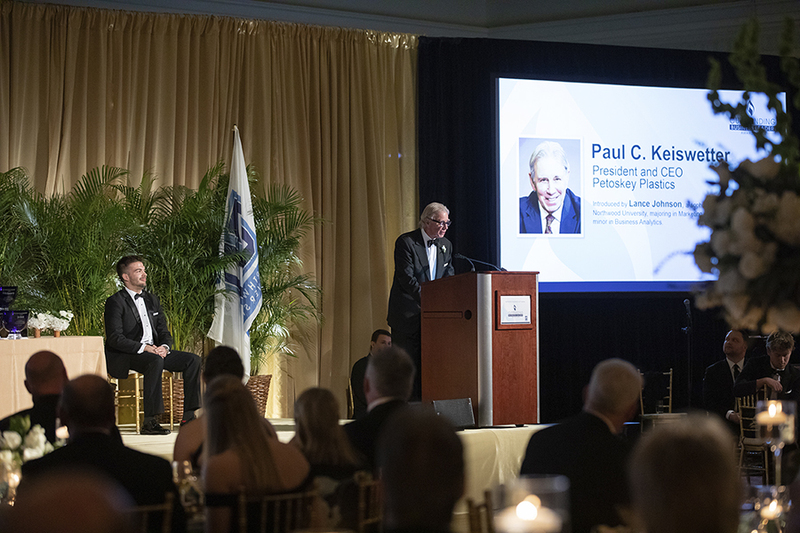 Palm Beach, FL: On March 16, 2019, Petoskey Plastics President and CEO Paul Keiswetter received the Outstanding Business Leader Award from Northwood University. Awards were presented by Northwood students at the Breakers in Palm Beach, FL. 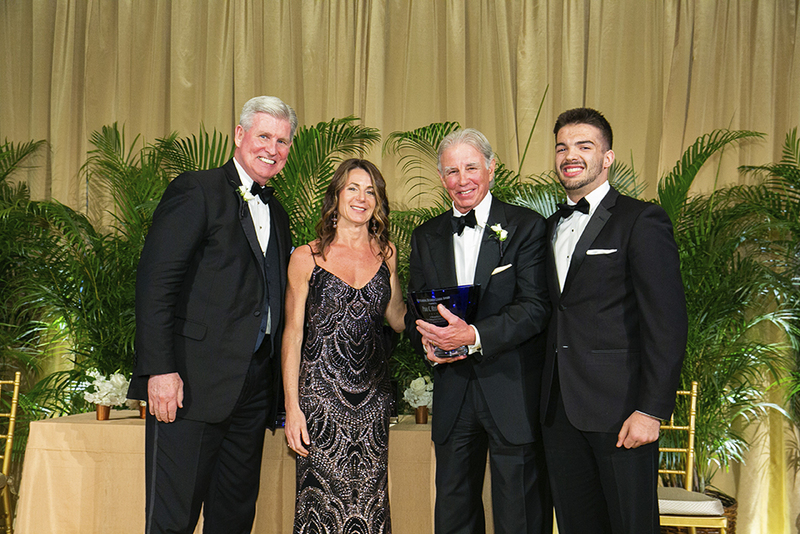 Proceeds from the annual awards gala contribute to the Outstanding Business Leaders Endowed Scholarship Fund, providing assistance to students with financial need and academic merit at Northwood University. According to the website, Outstanding Business Leader (OBL) Awards are presented by the Northwood University Board of Trustees. Each awardee is selected on the basis of personal achievements which typify the unique philosophy of Northwood University. Criteria used in the selection of awardees include contribution to the philosophy of private enterprise, support of the integration of business and the arts, contribution to education, economic innovation, creative marketing ideas, community involvement, religious leadership and philanthropic contributions, as well as business success. · Jan Bertsch, Senior Vice President and CFO of Owens-Illinois, Inc.
· John Washbish, President & CEO of Aftermarket Auto Parts Alliance, Inc.
Northwood University develops the future leaders of a global society. With business degrees offered online and on-site, Northwood University can help you reach your educational goals. Learn more about Northwood’s Undergraduate, Graduate, International and Adult programs today atnorthwood.edu.